Fuchai V3 Kit is a sleek vaping device for starter vapers. The durable tank atomizer is made of PC material and can hold 1.5ml e-liquid capacity. You can unscrew it to fill or replace with a new one. 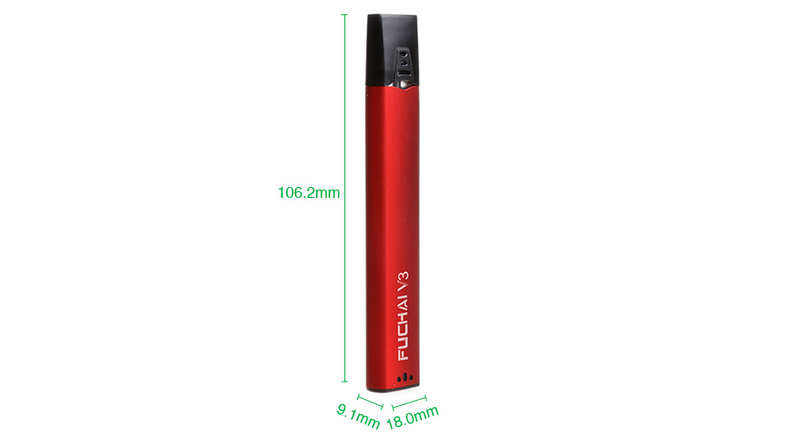 The Fuchai V3 is powered by a internal 400mAh battery allowing you to enjoy a full day vaping. And the puff-activated design makes the vaping so easy.